Online dating in India is a huge industry that won’t stop expanding any time soon. One of the reasons for the success that online dating has seen in India are the phenomenal results that it produces for its clients. If you’re single and new to the online dating scene, there are several things you should know to maximize your experience. 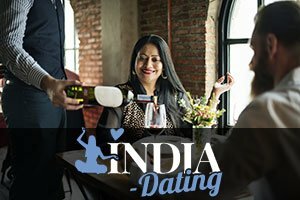 Given the magnitude of online dating in India, we’ve decided to go over a few of the major pointers to help you on your quest for a perfect match. The world of online dating is divided into countless niches that match people up based on their interests. There are literally online dating sites for every possible hobby or interest, from being vegan or vegetarian, to listening to a certain genre of music or owning a certain car. If you’re looking for a date from a specific niche, say someone who’s vegan, you want to research the top online dating sites for vegans, and see which ones have the most users in your area. The same goes for any other type of niche. If you don‘t have such specific preferences, you can open a profile on one of the major sites that caters to the general population, and take it from there. Once you find the site where you want to search for dates, the next step is to make an attention-grabbing profile that’s going to attract other users of the site. The first thing you need to do is select a killer profile picture that’s going to showcase your looks and perhaps even your personality to the world. Choose a head shot that you like and remember to update your profile picture at least every couple of weeks. In terms of your personal information, explain what you like and what kind of person you’re looking for without revealing any information that could be used to place you in any sort of uncomfortable situation, such as your workplace or home address. Make sure that you present yourself in an interesting and approachable way as a down-to-earth person who doesn’t have unrealistic expectations of the world, and you’ll do just fine! All major online dating services in India have very reliable software that produces scientifically compatible matches on a daily basis based on the information you and other members of the site provide. Although technology does a very good job at pairing you up with potential dates, the best thing to do to ensure success is to contact the people you like yourself. Browse through the member base and look for the profiles you find interesting. Write a short and catchy first message that starts a conversation with someone, and see how things go. The more first messages you write the more responses you’re going to get, which in turn translates into more dates. In other words, don’t hesitate to be proactive and take matters into your own hands!